Your conventions are organized by a fantastic party of dedicated fans and hobbyists. Your game master, Ryan Kopf, has brought together the Rogue (Erica Wise), the Cleric (Kassy Caldwell), the Assassin (Marcos), and others to put on fantastic events around the midwest. Please click on the links to any of our organizers to learn more about what they do to help the convention. 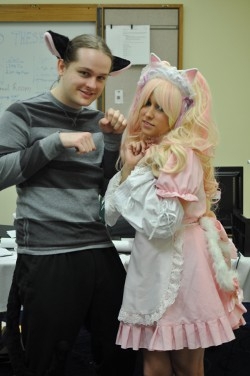 AnimeCon.org and its events are owned wholly by Chrono, LC, which is owned entirely by senior convention organizer Ryan Kopf.